My Mom is the best. Even when she isn’t necessarily feeling very inspired, she can come up with some creative ideas for the boys! 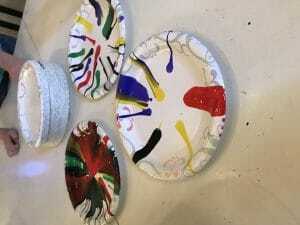 This day she brought an old salad spinner (one she didn’t mind “donating” to the cause) Some washable paint, and small paper plates. 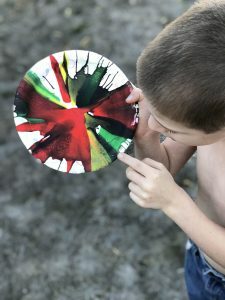 The boys had a blast and spinning this salad spinner as fast as they could was a great way to get some extra energy out! 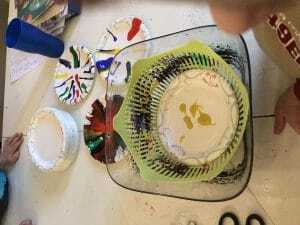 Simply place a small paper plate (or small piece of paper) in the bowl of the spinner. 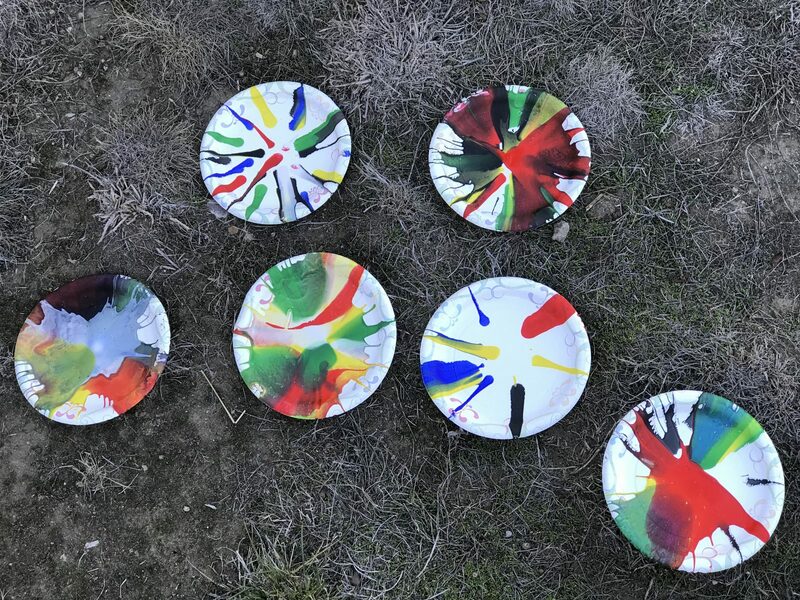 Drop a little paint in spots around the plate, replace lid and have fun spinning. We instructed to boys to spin one direction then stop and spin the other way. The colors blended and smeared beautifully and were different every time! I think we will be doing this art project again! It was definitely a blast! 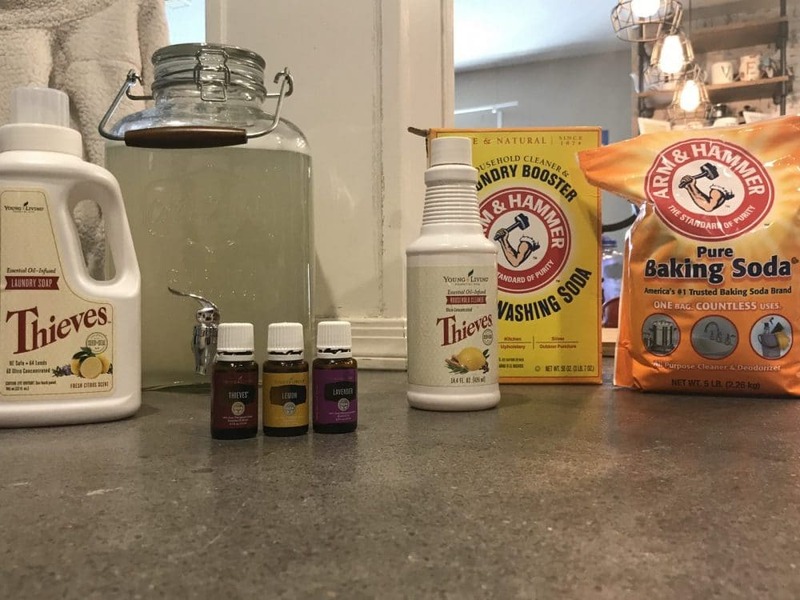 Do you think your kiddos would have fun with this?